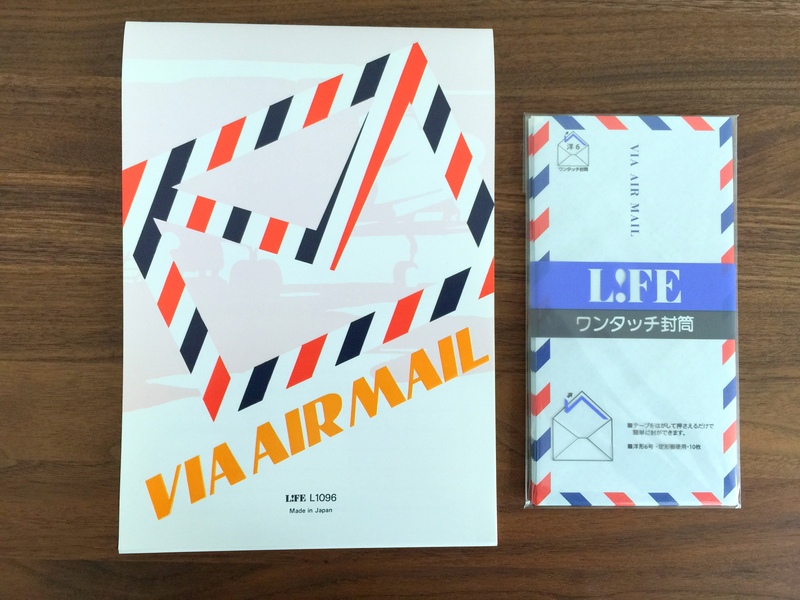 The LIFE Airmail letter set (LIFE L1096 + E26) offers both retro styling and an affordable price. 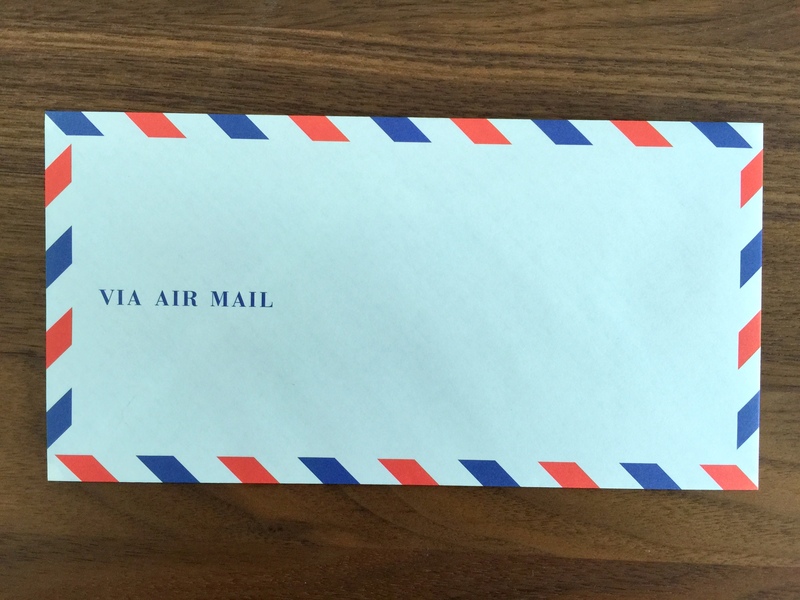 I paid approximately $7 USD for the set which contains 10 “VIA AIR MAIL” envelopes and 50 sheets of onion skin paper. Purchased individually the pad is $5 and the envelope is $2. 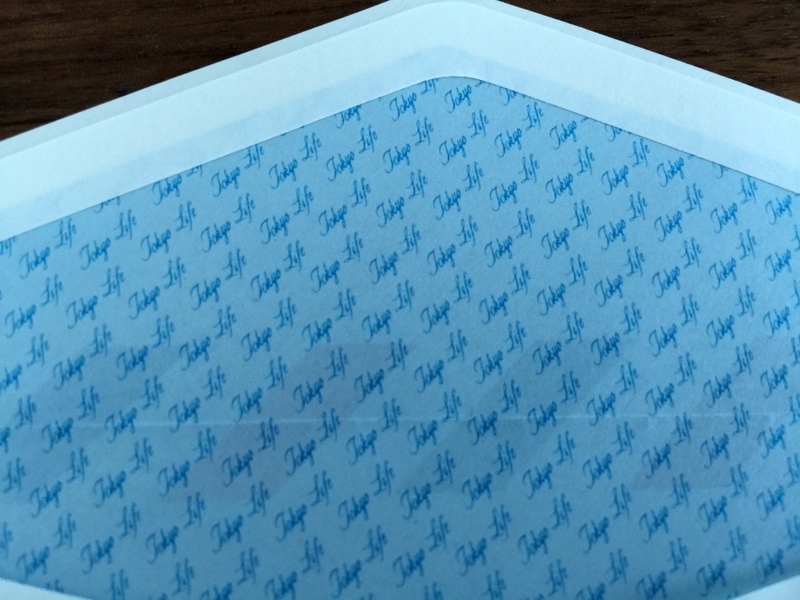 For those not familiar with onion skin paper, it is a durable but thin transparent paper that resembles, you guessed it, the skin of an onion. 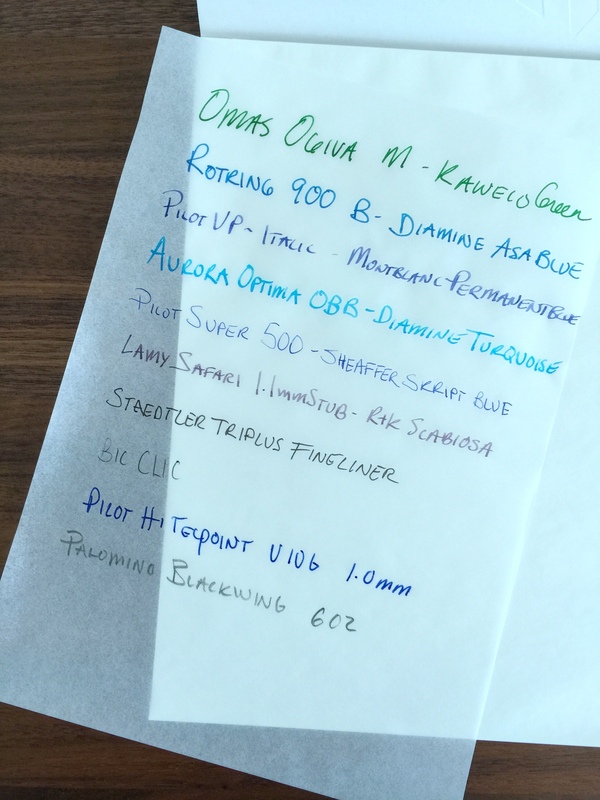 I wouldn’t dare use a fountain pen on a standard tracing paper but this LIFE onion skin paper is of excellent quality. 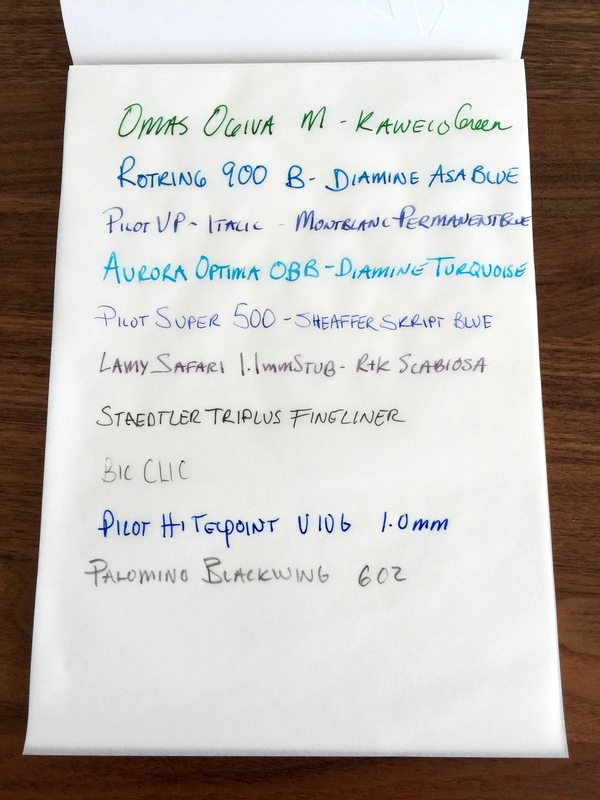 There is some very minor feathering with all of the fountain pens and the Pilot Hi-Tec Point gel pen but it is not enough to bother me. 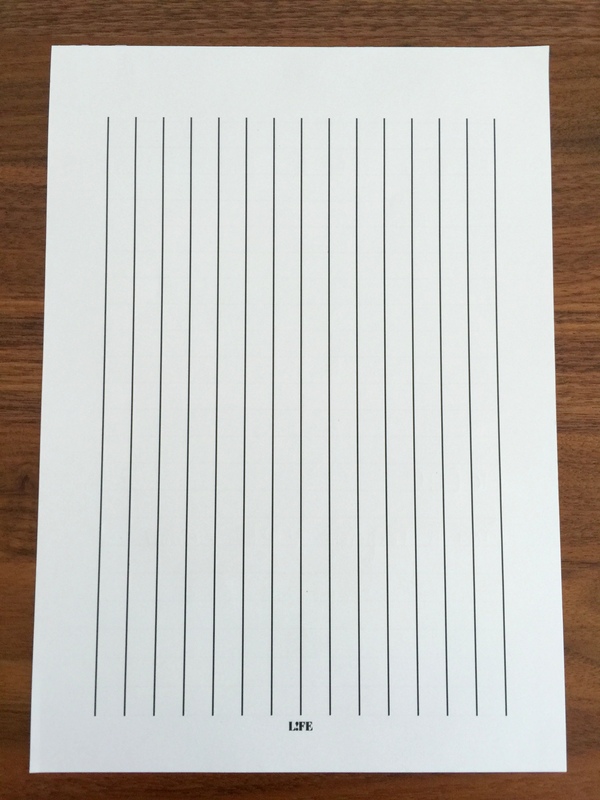 I experienced no bleed through as evidenced by this perfectly clean template I used for the writing sample. 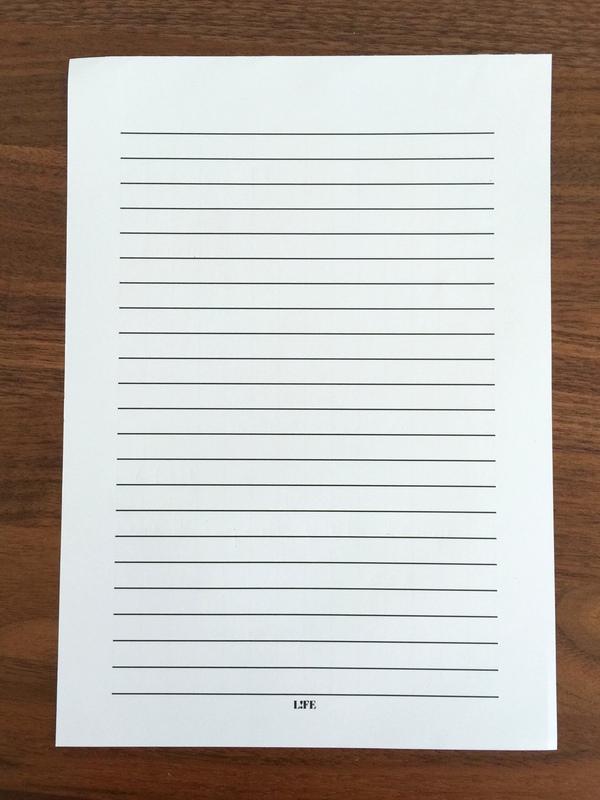 The guide sheet is double sided to accommodate different writing styles. 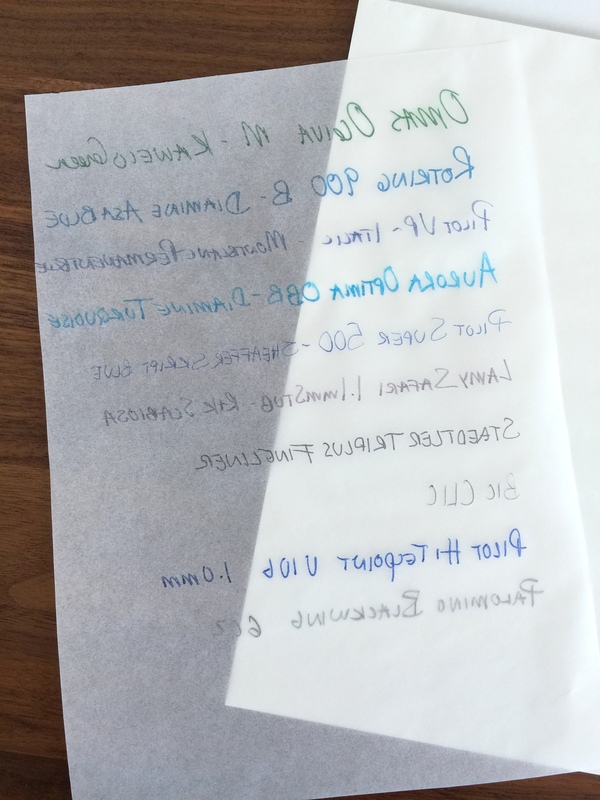 Because this paper is transparent you aren’t likely going to want to write on both sides. The envelopes are my favorite part of the set. 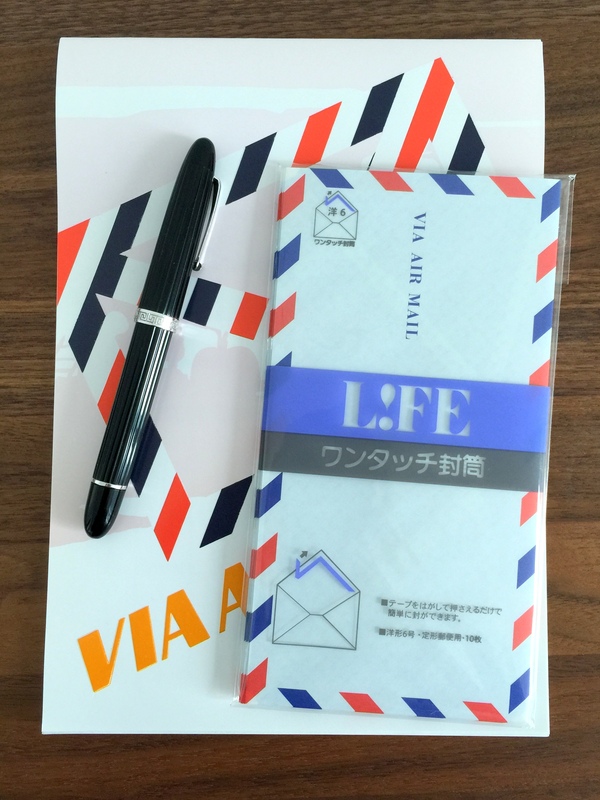 The envelopes feature self adhesive and have a security pattern on the inside which reads “TOKYO LIFE”. 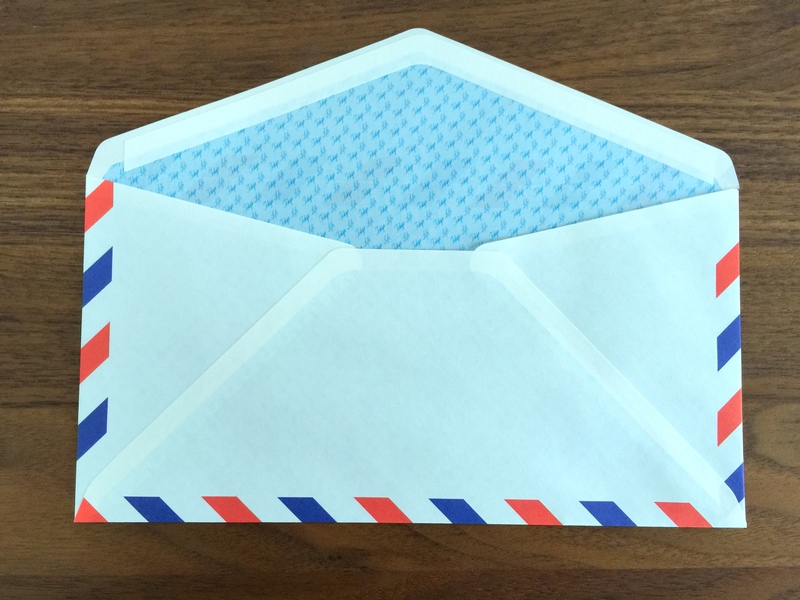 Like all other LIFE products I have come across, the Airmail letter set is well executed and of a high quality. I would have liked to see a blotter page in the pad but that is a small gripe. 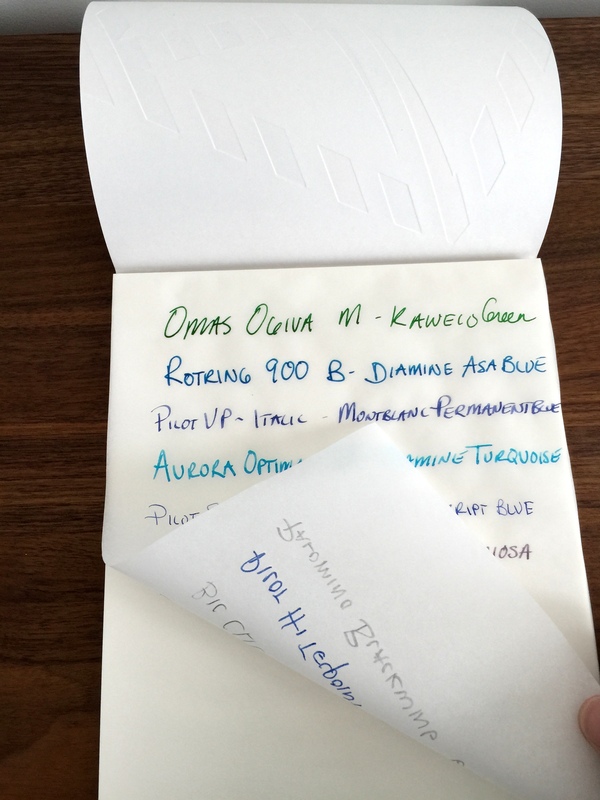 Did you score this from Nanami, jetpens, or some other vendor? Hi Jack, I bought the set at Itoya in Tokyo. When I need replacements though I will definitely buy from Nanami or JetPens as they are both great vendors. Wow! I’d love to try writing letters on onion skin paper. Looks really cool!